When you find yourself in need of a professional Barnstable roof cleaning company, will you know who to call on? All you have to do is ask around and you will hear the same answer time and time again - A to Z Softwash. What surprises some people is that they find they suddenly are required to get this type of service or risk losing their homeowners insurance. Insurance companies are getting stricter about making sure their clients take better care of their roof because black algae streaks mean the integrity of your roof is in jeopardy. They do not want to be held financially responsible for roofing that their customers could have prevented having damaged. So before you end up being put on this type of notice, give our team a call. Your home is your biggest investment so it make sense to want to take the best care of it possible. Since the roof if the most important aspect of your home, it also makes sense to want to take care of it. Don't let damaging organisms threaten the structural integrity of your roof. 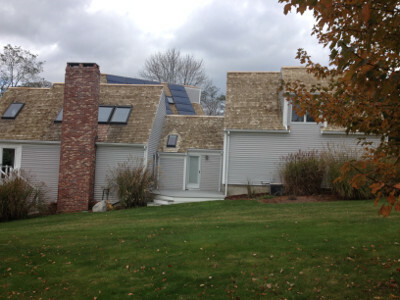 Want to make sure that your home is more energy efficient? Organisms on your roof prevent it from reflecting the sun which makes your home less energy efficient. This causes your utility bills to rise and means your home is not as Eco-friendly as it should be. Mention exterior washing and some homeowners get nervous. They have heard the horror stories about what can happen and the damage that highly pressurized water can cause during standard pressure washing in Barnstable, MA. You can rest easy knowing that we opt for the safer and gentler approach – softwashing. Get a better clean with better protection against damage with our exterior cleaning services. Restaurant owners know how important it is to get regular, professional hood cleaning. It's not just for fire safety reasons, it is because it is required by both state and national regulations. 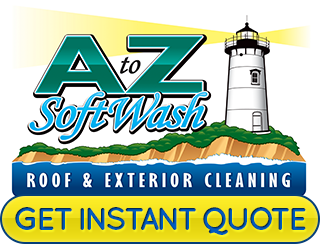 The good news is that our experts here at A to Z Softwash can provide that for you, in addition to countless other services. Don't take chances with the quality of work you get for your roof and exterior cleaning services. We promise you will love the results that we are able to get for you. 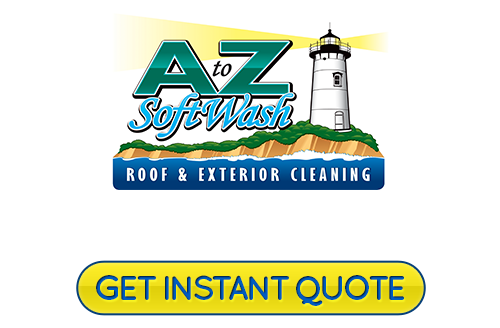 If you are looking for a reliable Barnstable roof cleaning or pressure washing professional then please call 508-209-7795 or complete our online request form.